Hi im Rafe. If you read my last book than you will under stand everything. but you dont need to. I will give you a renewal for you. 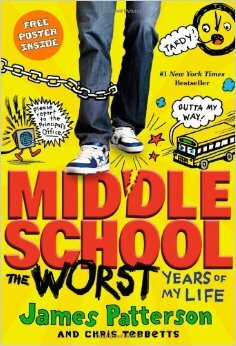 so hurry up and read Middle School: Get me out of here! Have you ever wanted to survive middle school ? one kid named Rafe is trying his hardest in middle school Rafe is having a hard time with bullies and the boss of the school . Maybe Rafe can have a chance to survive and make it out? If you ever wanna read a book that makes you laugh, read James Patterson’s I Even Funnier. The main character Jamie Grimm has the opportunity to become a professional comedian. HE tries competing with the top comedians but you have to read the book to find out who wins! Jamie Grimm who lives with the Smileys his Aunt and Uncle because…. well you will find out in the 1st book. This book sure made me laugh and there is nothing i don’t like about this book. Have you ever had a hard time finding funny book. A child who has a natural skill at making people laugh. He also works at his uncle frankie’s dinner. Also an adopted child and lives with his uncle’s family. My opinion is the book is very funny and has a moral to it. He also enters a funniest kid contest do you wonder if he wins if you want to know read I Funny. Have you ever lived in a house full of robots. 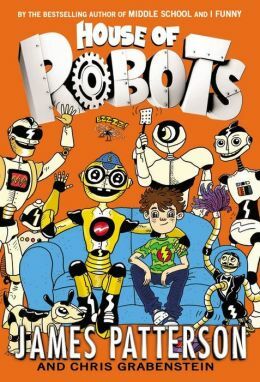 This book is about a kid named Sammy with his mom makes robots at her house and his dad is a cartoonist. He also have a sister named Maddie in 3 grade that he like. Read this book to see how Sammy does in his house with robots. I like this book because it just brings you right into the middle of the story. There are some funny and fun parts in the story. It is all about funny things. This series of 7, now 8 graphic novels are amazing and I can’t stop thinking about them! 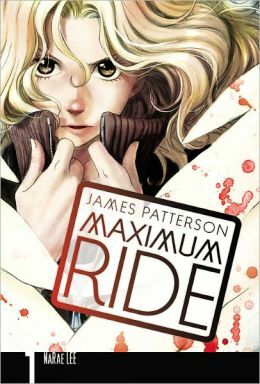 This series is about teenagers and one young girl named Max, Fang, Iggy, Gazzy, Nudge, And Angel, that are mutant from being tested on. They have wings. What happens when they get discovered? Read the series and find out the twists and turns of their wild ride!!!!!!!!!! 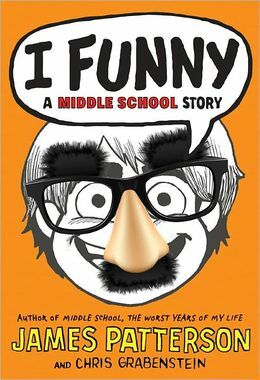 Judging by all the reviews you guys send in for the I Funny books, you’re already fans of author James Patterson. But did you know he also writes a Middle School book series? 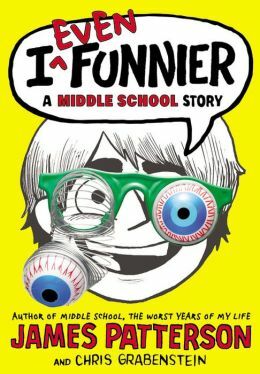 Unlike Jamie in I Funny, the main character in this series doesn’t have any particular career plans — he’s just trying to get through the school year. Unfortunately, life is tough for Rafe: He has no friends, his stepfather-to-be is a jerk, the school bully is targeting him, and he has a crush on a smart, popular girl who does NOT feel the same way about him. So what’s a guy to do? Well, Rafe comes up with a plan that I would not recommend whatsoever — but it does bring some adventure. Rafe decides he’s going to break as many school rules as possible, hopefully all of them before the year is through. As you can imagine, this leads to some crazy antics that Rafe and his classmates really enjoy. On the other hand, it causes problems at home and upsets Rafe’s mom — and Rafe hates upsetting his mom. Plus it turns out that girl Rafe likes is NOT into the bad boy thing. So what’s a guy to do? I’m obviously not telling you! If you want to know, read the book. And if you like the book, then there’s a whole series about Rafe’s life that you can check out. 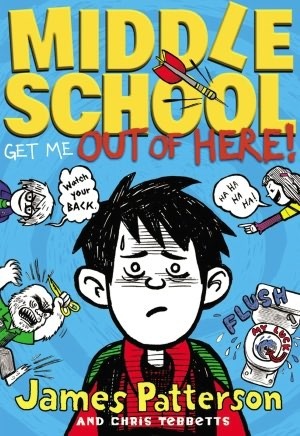 I recommend this book to fans of Diary of a Wimpy Kid and Big Nate because the topic of school survival is similar and because this book also has funny drawings interspersed with the story. But this book also has a serious side that reminds me more of Milo: Sticky Notes and Brain Freeze. Yes, there are hilarious illustrations. But there are also reality checks based on Rafe’s choices, and you discover more about Rafe and his motivations over time — even at the end of the book! 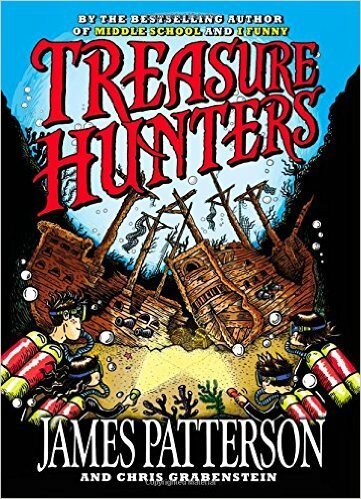 Have you read any of James Patterson’s Middle School books? Leave a comment with your thoughts or send in a full review! This is an amazing you will love it. If your interested in graphic novel and fantasy put together this is the book for you .